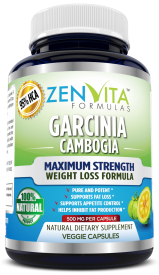 ZenVita Formulas strives to offer the best quality dietary supplements to the market. We value the trust and concerns of our loyal customers. All of our products are 100% natural and they are made with finest ingredients in the US follow strict cGMP standards in a FDA registered facility. All the ingredients in our products have been tested and certified by a third party independent laboratory to ensure the purity and efficacy we are so proud and confident to offer. Copyright © 2017 ZenVita Formulas. All Rights Reserved.